With 2,233 cities, 128 countries, and over 1 million people participating, Greta Thunberg, a 16-year old activist from Sweden, inspired the world to skip school and fight climate change. 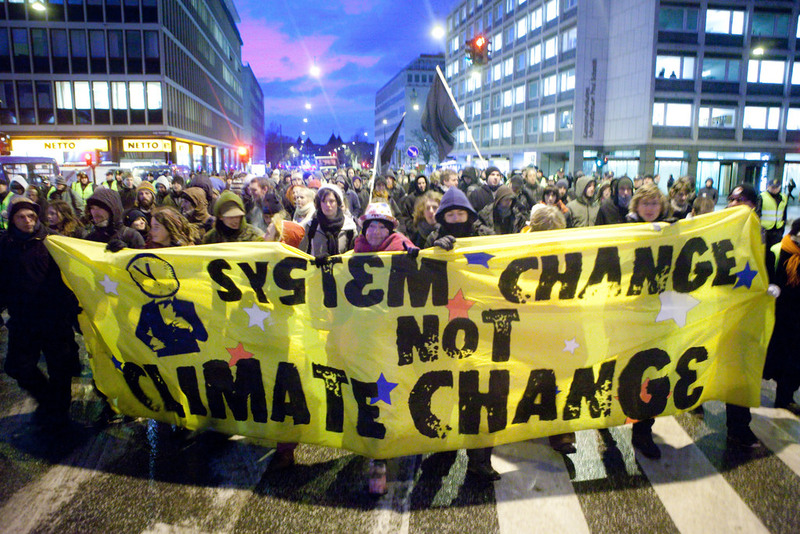 Starting last August, Thunberg began camping outside the Swedish parliament to demand a system change to fight climate change. What started as a single protest became a global movement and gained enough attention to earn her a nomination for a Nobel Peace Prize. If she were to win, she would be the youngest recipient of the award since Malala Yousafzai in 2014. Thunberg was inspired by the students from the Parkland school who walked out of their classes to protest the U.S. gun laws that allowed for the school shooting. On March 15, students around the world skipped school to march and bring awareness to climate change and the Green New Deal. Some schools threatened kids that if they skipped school that they would be punished, but many students ignored the warnings because they felt climate change is more important and they wanted their voices to be heard. In SJHHS, the club SOC4Change organized a march of their own in Laguna Beach after school. Students all around Orange County participated and played a role in inspiring others to fight and pass legislation to address climate change. The strike managed to channel the frustration that young people feel about policymakers’ resistance to take climate change seriously. In the United States Congress, Rep. Alexandria Ocasio-Cortez (D-NY) and Sen. Ed Markey (D-MA) sponsored the Green New Deal that proposed an economic stimulus program that addresses climate change. “We wanted to participate and show solidarity and send a message to our local government, our federal government on how we want to take climate change seriously and how we want action to happen on that as soon as possible,” said Bachelder. World leaders may listen to the students during the strike, but the test is if they take action and make a change.